RCRC meets on the first Thursday of each month at 6:30pm. We currently meet at Newk’s on University Drive in Huntsville. If you would like to join us for dinner, please arrive between 5:30-6:30, the actual club meeting will begin at 6:30. RCRC holds a trail ride each month and we try to alternate between easy and hard rides so everyone can have fun. Alcohol and/or drug use is strictly prohibited on all trail rides. This is a family oriented club, therefore, we also ask that you act appropriately regarding actions and language when children are present. RCRC is a member of the Madison County Volunteer Organizations Active in Disasters (VOAD). As part of this membership, RCRC will respond as requested by VOAD to help the local community recover from disasters. This response includes but is not limited to transporting critical personnel and supplies during adverse weather or road conditions, emergency communications and other 4x4 related emergency responses. In addition, many club members have been Community Emergency Response Team (CERT) trained. Interested applicants must attend two (2) monthly club meetings as well as go on two (2) trail rides before the club votes on a membership. Dues are collected after the vote. Dues for basic club membership are $55 per year, collected in January of each year. A portion of the yearly dues go to United Four Wheel Drive Association, so by joining RCRC, you also become members of UFWDA. We also offer business memberships for businesses interested in advertising only. 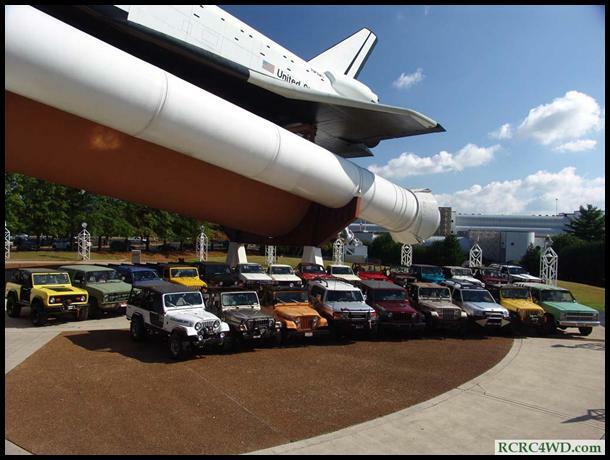 The members and guests of Rocket City Rock Crawlers are responsible for having a valid drivers license and proof of liability auto insurance on street legal vehicles. Each member/guest is responsible for operating their vehicle in a lawful manner at all times. This is an off-road club where vehicle damage and personal injury can occur. Every member/guest drives at their own risk. Rocket City Rock Crawlers or its members will not be held responsible for said damages or injury. The following items are mandatory for every vehicle, this includes guests! Roll bar or factory metal cab, seatbelts for all, child's car seat if required by law. If you have any questions about RCRC, please contact Lee Anna Wright/Membership Chairman or any RCRC club member.